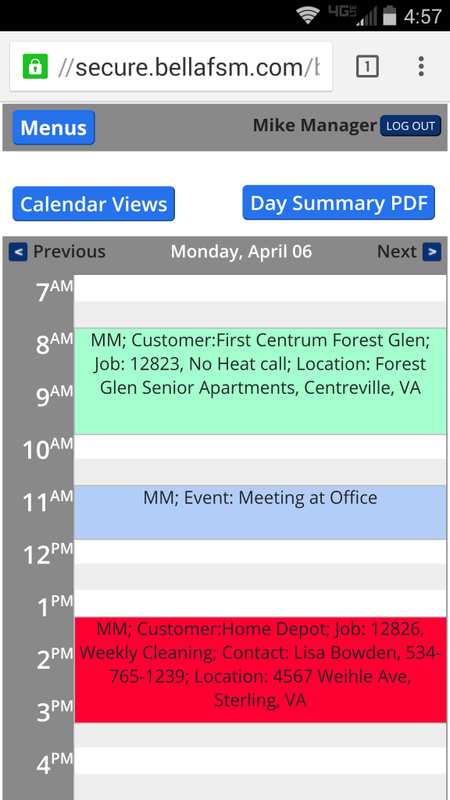 Reston, Virginia – April 6, 2015 – Bella FSM, a recognized leader of Field Service Software announced the release of Bella Mobile v3.5. This upgrade notably simplifies accessibility for remote users from all mobile devices including iPhones, iPads, and Android tablets and smartphones. In response to customer feedback, Bella Mobile v3.5 now provides a much friendlier mobile interface for busy technicians, employees, vendors, and business owners in the field. The software automatically detects if the user is logged in from a mobile device or a desktop computer and adjusted accordingly. The streamlined mobile interface allows for one click actions and easy navigation to view and update schedules and Work Orders, upload photos and attachments, create Estimates and Invoices, and capture customer signatures. 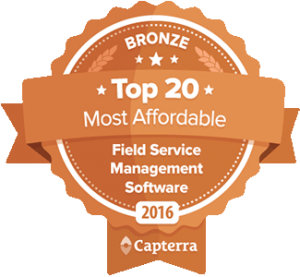 “Our latest upgrades greatly improves efficiency in the field and elevates overall usability,” explained John Linn, CEO of Bella FSM. “Everyone at Bella FSM would like to thank those users who offered real-world feedback, helping us continually refine our features and functionality to improve our customer’s day-to-day business operations.